Weight gain problem is the biggest problem among women. This problem becomes a headache after marriage and you have probably heard, people talking about sudden increase in their weight after their marriage. So if you are newly-weds, you shouldn’t be surprised if you suddenly put on weight, and here’s why. The wedding is over. Now it’s time to settle down in your new home, learn new rules of the house and adjust living with your husband. Most brides-to-be go on a weight loss diet because they want to look stunning on D-Day. However, they often tend to put on weight post marriage. A new research also supports the claim that 82% couples gains weight up to 5-10 kgs after 5 years of their marriage. It is important to note that this increase of weight is mostly seen among women. 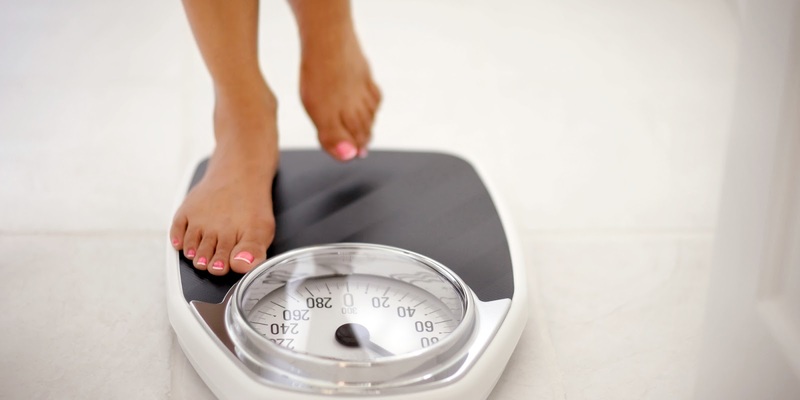 There are many reasons why women put on weight after their marriage, and in this article you’ll find out five major reasons which contribute in the weight gain of women after marriage. Cooking for her new family is probably the first thing a newly married woman has to do. Your body is used to a certain style of cooking in terms of the taste, the spices used, etc, but you are likely to change this to impress your husband and your in-laws. You perhaps have to change your food habits completely if it is an inter-cultural marriage. Your body reacts to this by altering your digestive pattern, and all these changes cause weight gain. Weddings take a toll on your body because you eat at weird hours and you eat meals made in bulk for hundreds of people. And you go for your honeymoon trip right after the exhausting three-day long affair, where you again eat outside food. Not just this, you have to adjust to the daily schedule because it’s a new house and this adds to the stress. When you combine a bad diet with stress, that means loss of nutrition. So, essentially, you gorge on calories but do not give your body the essential nutrients, which results in deficiency of calcium, vitamin B, etc. This leads to cravings at odd hours and lack of energy. And you are surprised why you have suddenly gained 4 kilos. Admit it, when you were single you could easily get your way. However, after you got married, you often have to step down and let go of your choices, and your priorities change and you are often last on your own list. So you are either eating leftovers because you don’t want to waste food or cooking your hubby’s favourite dish. Kids, household chores, managing work, etc. coupled with a hazy eating pattern can leave you feeling exhausted, and you are likely to indulge in cravings for the lack of satisfaction from your meals and put on weight. You are newly married. This means you have the freedom to go out and binge every weekend, sometimes weekdays too! Not just that, you have several dinner parties to attend to get to know the extended family, family friends, relatives, friends, and so on, and saying no to these invites is usually not an option. So more often than not, at least one of your meals is outside food which is often low in nutrition and rich in calories, which soon reflect on your waistline. Before the wedding, it is all about looking stunning. This means portion control, hours in the gym, etc. But your health takes a backseat once the wedding is over and responsibility strikes. After they get married, women often let go and do not bother much about fitness or their body. Gym hour is replaced by cooking hour and diet goes for a toss. All these changes make you put on some weight. Here are 5 easy weight loss tips for women.